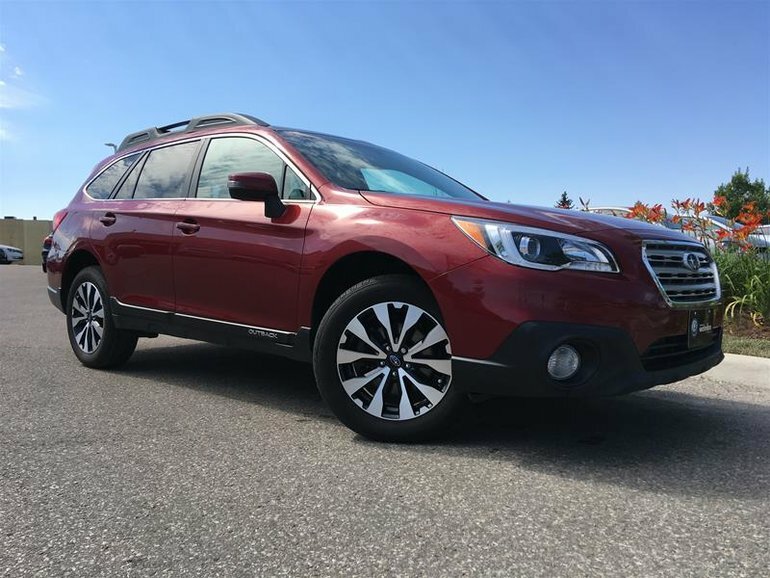 Our Reconditioning Includes:Oil changeBrake cleaningDetail inside and out Wiper blades112 Point InspectionTire-GuardAnti-Theft At this price, this Subaru Outback won't last long! This local trade was exchanged for a new Golf Wagen. The client was a commuter so this is all highway kilometers. Being the 2.5i Limited it's in fantastic shape! This one has the 18" alloy wheels, 7 inch touch screen, navigation, SiriusXM and harmon kardon speakers! This economical commuter is competitively priced, and will be fully reconditioned by our Master Certified Technicians! To Volkswagen, Customer satisfaction is held to the highest regard. We don't have a 4.7/5 Stars on Google Reviews selling customers junk. We're successful because we treat every car like it is our own (because it is) and we want to make sure that you experience buying it is truly positively different than anything else you've had. Here at Volkswagen Waterloo we aren't about selling you A car, we're about selling you THE car you want. Come see why we're truly Positively Different. Price includes all applicable dealer fees, basic license transfer fee. Just add HST. View our full inventory at www.vwwaterloo.com. Interested in the 2017 Subaru Outback 2.5i Limited at ?